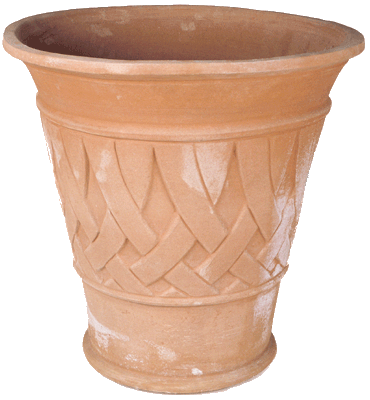 A modern interpretation of the basketweave pattern "cesto" in terra cotta. A soaring, delicate container that is a good value for its size. See the Vaso Alto in two sizes; this piece is the same shape with a pattern added.